Dhoom 3 on its opening day created a rage at the box office with 36 Crores and with its second day collection pouring in, the film seems to have witnessed a negligible drop on its second day. The film has earned 33.25 Crores on its second day (all languages combined), which is excellent. 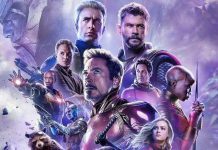 The Hindi Version of the movie on Day 2 made 31.25 Crores where as the Tamil and Telugu versions contributed another 2 Crores. This YRF venture, starring an ensemble cast including Aamir Khan, Abhishek Bachchan, Katrina Kaif and Uday Chopra, now stands at a total domestic box office collection of 69.25 Crores. 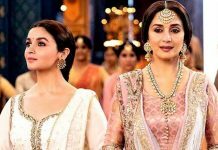 If the film manages to maintain the same range consistently even today, it will surpass Chennai Express‘ record of the fastest 100 crore entrant. Chennai Express entered the distinguished 100 crore mark in 3 days which included the film’s paid preview amount as well. 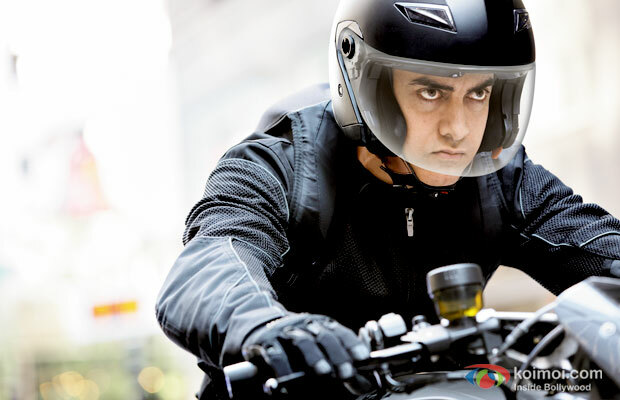 But Dhoom 3 despite the absence of paid preview, is looking to beat the same in lesser time. However, it is yet for the film’s Sunday collections to confirm whether Dhoom 3 can attain the same or not. I literally cried watching man of steel because k3 copied in the worst way possible. GREAT MOVIE.IT WILL BREAK ALL THE PREVIOUS RECORD.AMIR MAKE 300 CR CLUB 1ST TIME.I HAVE SEEN THIS FILM 2 TIMES. REALLY AWESOME. GREAT MOVIE.IT WILL BREAK ALL THE PREVIOUS RECORD.AMIR MAKE 300 CR CLUB 1ST TIME.I HAVE SEEN THIS FILM 2 TIMES. GREAT MOVIE.IT WILL BREAK ALL THE PREVIOUS RECORD.AMIR MAKE 255 CR CLUB 1ST TIME.I HAVE SEEN THIS FILM 5 TIMES. Aaamir, the name is enough. Very good movie, worthy to watch !! Fantastic movie of 2013, superb action by aamir, must watch. Superb movie,second half is just awesome n keep u mesmerized ,good repeat value too its Amir/Amir n Amir who rocks with double role. SRK ROCKS ARE BESHARMO SRK.S CE RALEASED ONLY 3500 SCREENES BUT D3 RELEASED 4500 SCRENES AB SAMJO SRK’S CE WAS all time block buster is film ka record todega sirf SRK KOI ALTU FALTU NAHIN SAMJE. What about 3 Idiots? If D3 not breaks the record of CE then CE also can not break the record of 3Idiots. 3 Idiots released in 2009 and also in less number of screens. katrinas acting is always too bogus.first she needs to work on her acting and she looks like a statue with bad dialogue delivery..
first half above average second half boring, overall boring and same repeat telecast third time you can predict the plot with every single scene. cud nt touch the level off dhoom statndard 1!!!!!! even abhishek luk so worst in it !!!!!!!!! uday he is as usual !!!!!!!! first aim of a actor…to entertain audience….Aamir was known for that superb works by Aamir…..
Why some ppl think they’re the most intelligent. Criticising movie like d:3,ett etc. Let me guess they must be srk fans, they’re jealous because d:3 broke ce record.. D:3 better than ce. Srk may be a good man but some fans are pulling him in a war.. A meaningless war.. Some fans hate him because of his ”die hard” fans.. Hey fellas cry out loud, do whatever u want, fact is a fact d:3 broke ce record.. If movie determines actor’s sucess then aamir>srk..
Zabardast movie- Aamir – Abhishek – Uday all justified their respctv roles but didnt like Katrina’s acting. ABHISHEK’s Autorickshaw entry scene was ZHAKAAAS and it got ear deafening whistles and claps.